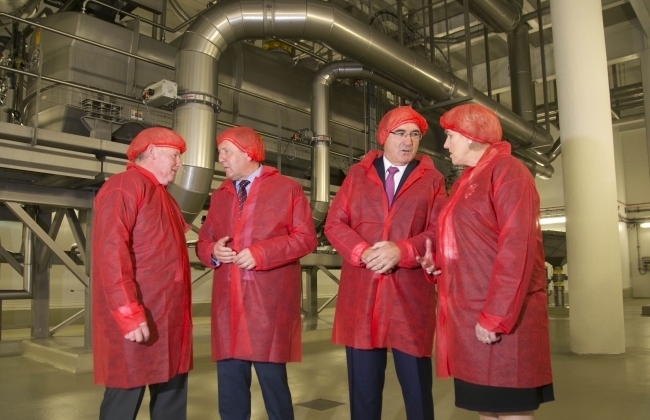 Lakeland Dairies has officially opened a new €40m (£35m) technologically advanced milk powder plant at Bailieboro, Co. Cavan in Ireland. The Bailieboro facility is among the most advanced milk powder plants in the world and one of the largest such plants in Europe. The investment has been supported by the Irish Governments Department for Business, Enterprise and Innovation through Enterprise Ireland. This is creating 85 new jobs across the Lakeland Dairies Group between now and 2019. Over 180 construction workers were employed by contractors during the building, installation and commissioning phases for the new facilities. With 2,400 dairy farmers supplying milk to the co-operative across 15 counties north and south, Lakeland Dairies now employs over 800 people. 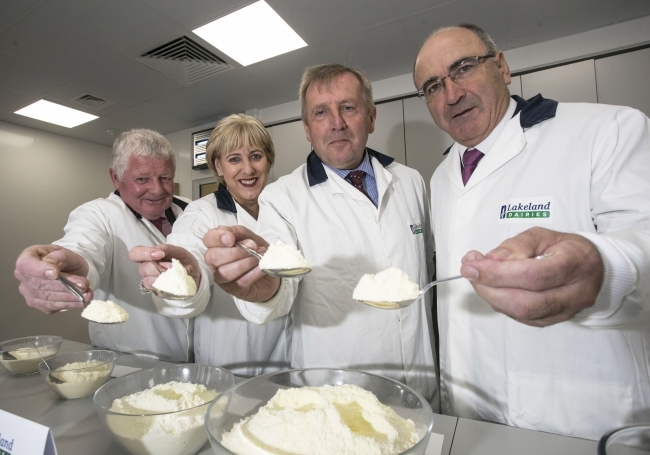 One of Ireland’s leading farmer owned dairy processing co-operatives, Lakeland Dairies processes over 1.2 Billion litres of farm produced milk annually into 240 value-added dairy foodservice products and food ingredients for export to over 80 countries worldwide. This is Lakeland Dairies’ third milk drying plant at its Bailieboro processing centre. It will now produce over 160,000 tonnes of milk powders and 50,000 tonnes of butter annually on the same site, which allows great flexibility in milk throughput and overall economies of scale for the food ingredients business. The development by Lakeland Dairies is designed to ensure that the co-operative is well positioned to take advantage of all future market opportunities for its milk producers. The expansion saw the installation of a new 7 tonne per hour milk dryer and evaporators where total milk powder production capacity has now increased to 20 tonnes per hour. The plant has the highest levels of efficiency including heat recovery systems and its energy centre can also supply electricity back into to the national grid. Lakeland Dairies’ Group CEO Michael Hanley said: “Our strategy is to create long term competitiveness and sustainability for our milk producers and to meet the long term needs of our valued customers in the global food industry where we see constant demand for our products. We have created a culture of innovation and excellence across our entire organisation which will continue to drive the business forward. In particular, we are addressing opportunities in the areas of infant formulas, dairy proteins, food manufacturing and health related nutritional products, among other categories, where we are already a globally recognised leading supplier of powders.